First, you'll need the commands. The one below is the one I use for my Tales characters. Also, you need to have Guard and Guardian use the same command. Which right now is "hold_x". If you want to change it to something else, go ahead. trigger1 = command = "hold_x"
trigger1 = command != "fwd" && command != "back"
trigger1 = command != "up" && command != "down"
trigger1 = command = "hold_x" && command = "down"
Now, just throw these states below straight into your cns file with the walking, jumping, guarding states. Or wherever you want it. 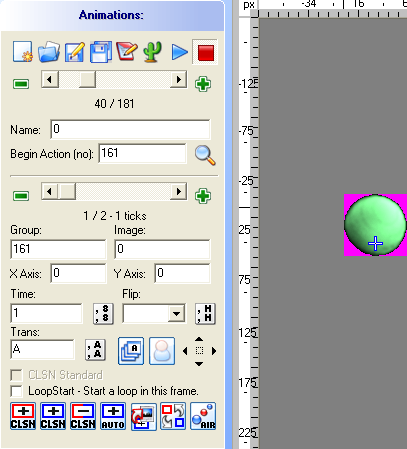 The animation for 160 is the [State 160, 1] coding below. That is the animation for your character while using Guardian. The animation can be as many ticks as you want, but if you want it to match with the effects, it must be 60 ticks long. And that's it. Just press and hold x and then press down. Of course, this is without the effects. If you want the effects, you can get them here. And the coding for it is right below. First, add this helper in the [Statedef 160] above. Next, add the coding for the effects. Now for the animations of the effects. Put the green ball under stateno 161 with 2 images. The first one being 1 tick long. The second image being 40 ticks long. With A for the trans. 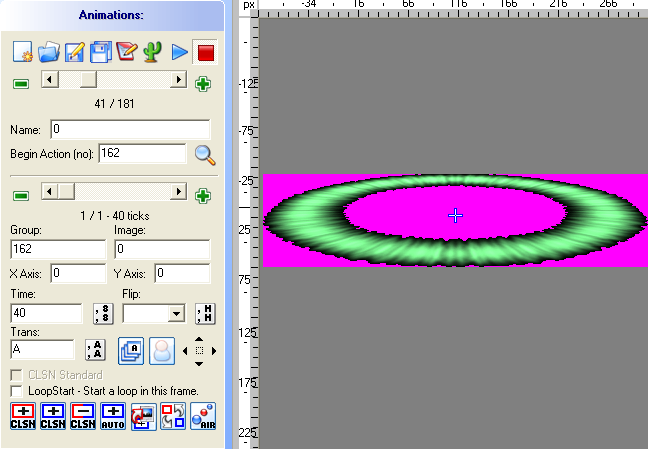 Put the green ring under stateno = 162 with just a single image. The image being 40 ticks long with A for trans. And that's it. You should be able to use Guardian now. Next time I'll put up a tutorial for Demon Fang, Counter, & Overlimit.